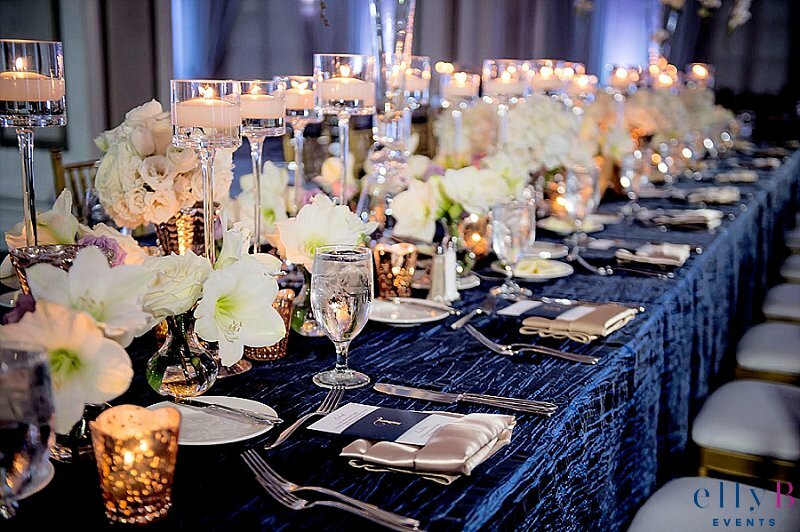 Today’s blog is filled with romance & opulence! What Taylor thought was a small dinner for both of their mothers to meet, turned into a night she’ll never forget filled with a surprise engagement party and the four little words every girl dreams of hearing. 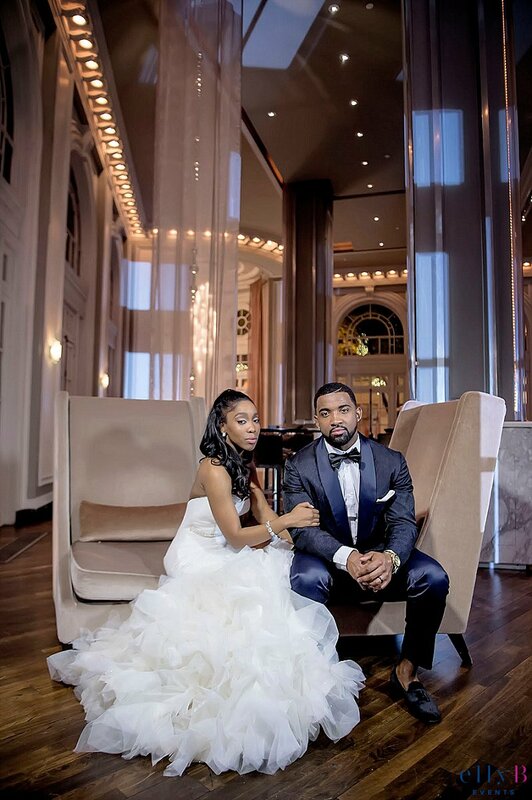 Taylor & Tauren decided to have their romantic wedding at one of the most luxurious venues The Georgian Terrace Hotel in Midtown Atlanta. 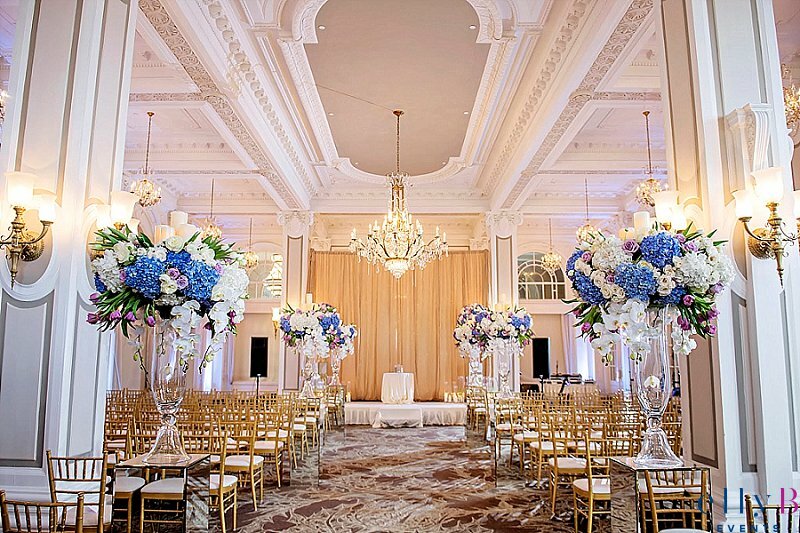 The lavishness of the hotel was the perfect backdrop for the ceremony and reception, featuring impeccable architecture, dreamy ambiance & immaculate decor. 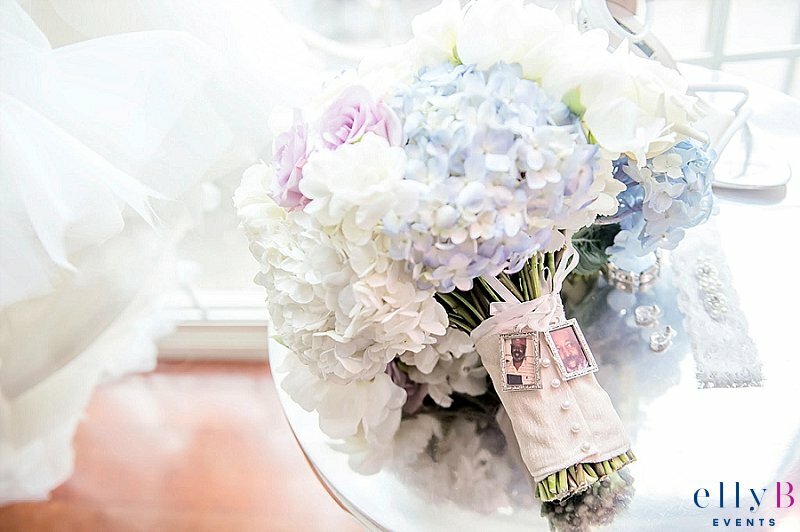 Taylor was a vision in her custom Winnie Couture Gown, her flourishing bridal bouquet of roses & hydrangeas was finished with silk ribbon and adorned with photo charms of her grandfather. 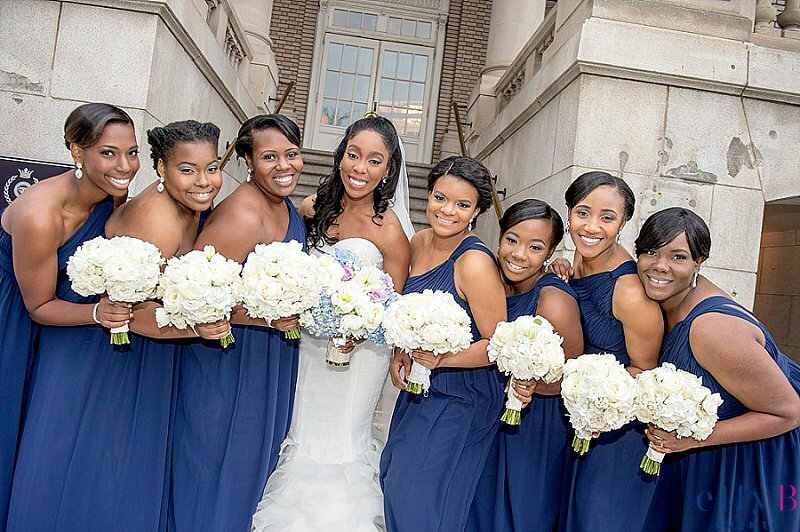 The color scheme of navy & cream with touches of gold was featured throughout their wedding, with Taylor’s bridesmaids wearing long one shouldered gowns to Tauren’s custom Algernon Johnson tuxedo. You can feel the love that radiates between these two hearts. Floral: Andy Beach and Co.
Last winter we had the pleasure of helping Lindsey and JR plan their big day. 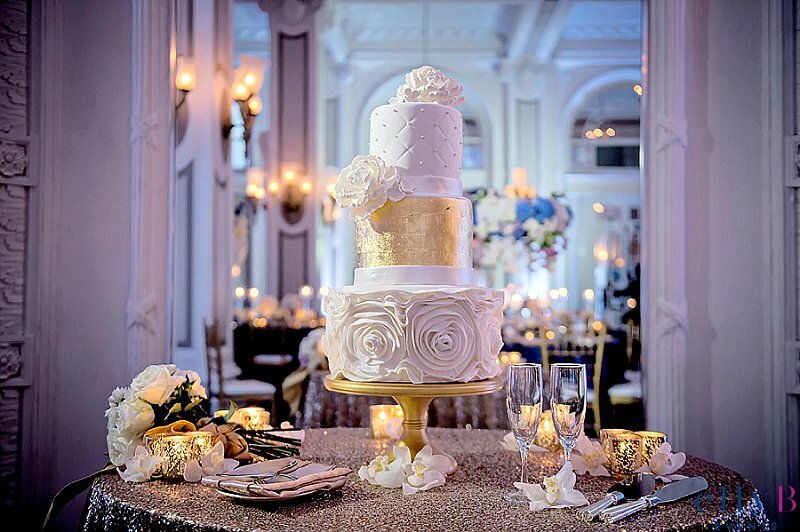 We stayed away from the traditional holiday colors and infused the neutral color palette of creams and golds for their big day. 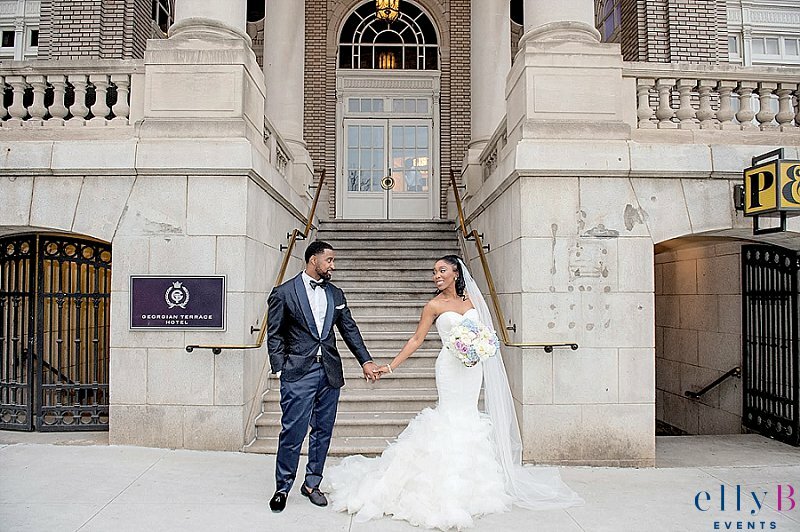 The ceremony and reception took place on Agnes Scott campus. Lindsey and her girls rented the alumni house to get ready to avoid having to transport before the ceremony. This allowed everyone to relax and take in the big day! 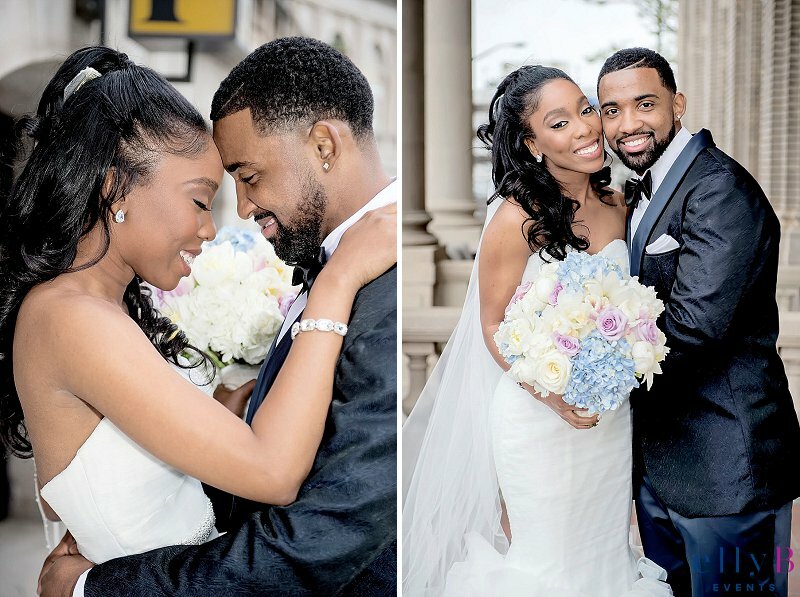 Take a look at their gorgeous wedding below and in the current issue of Southern Bride Magazine. 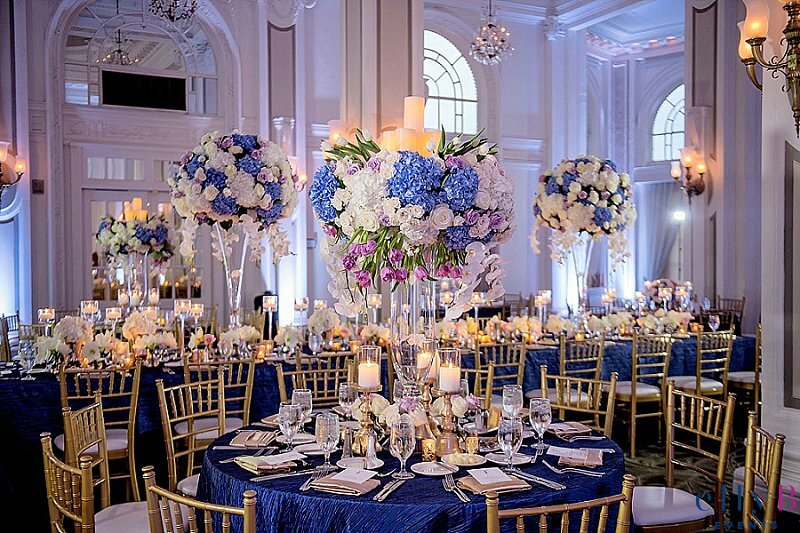 Floral and Decor: Andy Beach and Co. There is so much I can say about these two, but one of the most important things I can say is that is that I am beyond blessed that these two are my friends for life. They trusted me, made me laugh, and was never short of personality throughout our entire planning process. 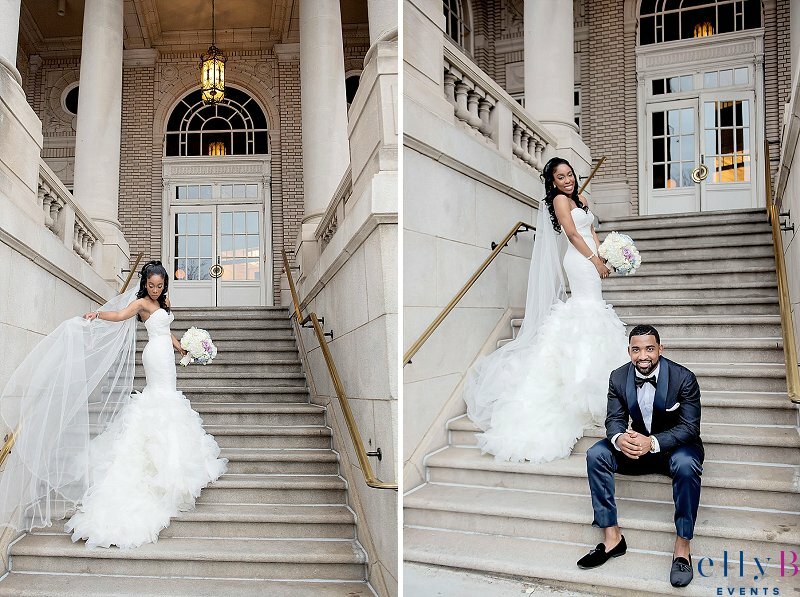 Looking back at these images makes me relive the day (hey I know I am just a planner but it is my day too! ), there is not a thing I would change. I hope they feel the same! Whoa we are back at it and ready to blog! It has been far too long but don’t worry at all as we have tons of catching up to do which means we have tons of things to share. 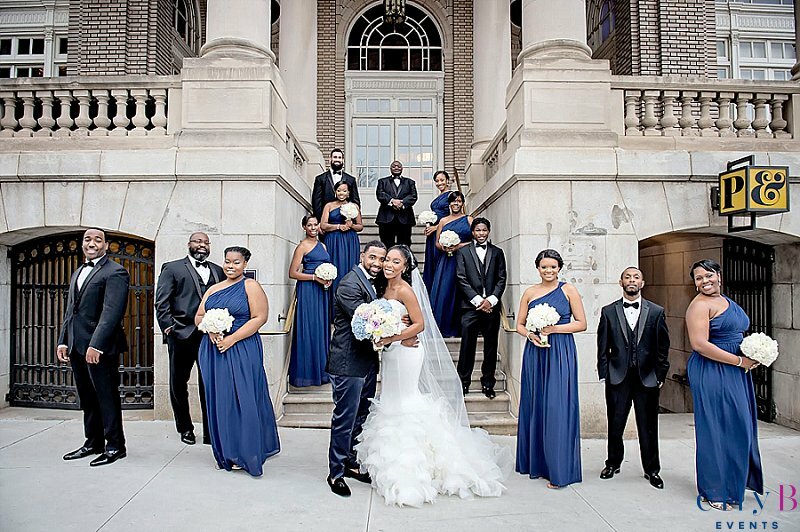 We wanted to start off with this super neutral fab wedding of Fabiola and Shereitte. Take a look and let us know what you think! Today marks 10 days before Oh Brides spectacular Propose Event. 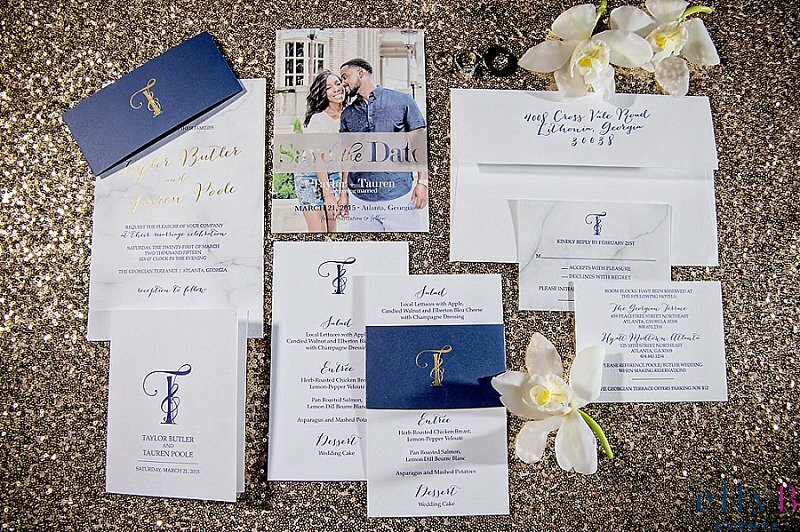 Engaged couples will experience complimentary cocktails, beauty bar, intimate setting, luxurious gift bags, prize giveaways, grooms lounge and VIP Brunch (with the purchase of VIP ticket). 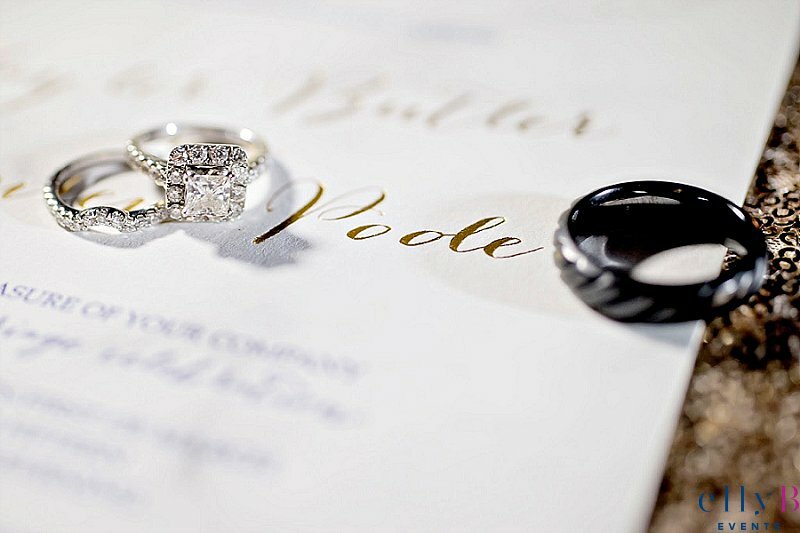 Propose is a Detail-Inspired event for the discerning bride and groom. It is a couple’s affair. 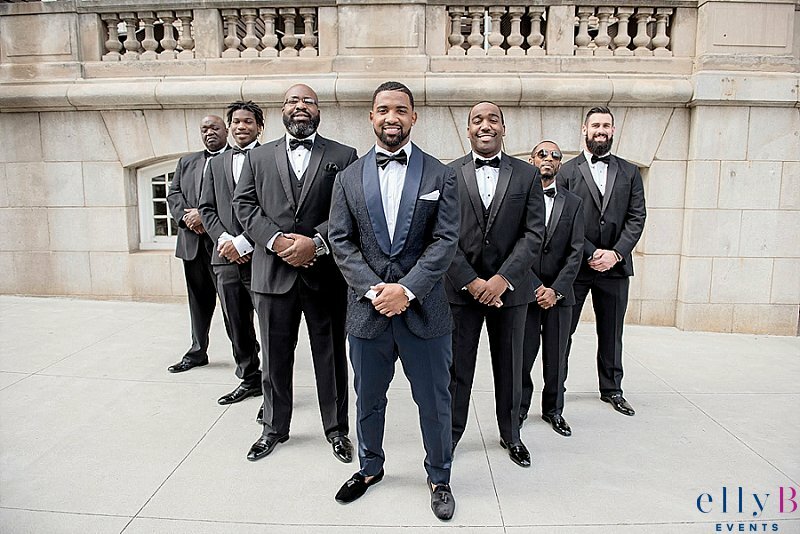 Future brides are encouraged to bring their grooms to enjoy the Groom’s Lounge hosted by Ross Oscar Knight Photography featuring cigar rolling, honeymoon ideas and inspiration through fashion, grooming tips, custom services and accessories. 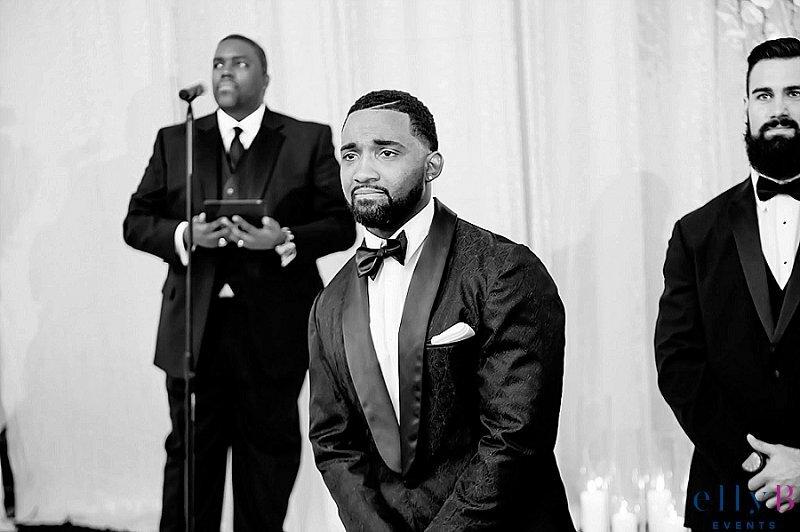 Grooms will join Ross Oscar Knight for an exclusive book signing of his new book, HIM: In his Moment, a 100-page full color hardback keepsake that explores the intimate journey of 35 men as they prepare to see their bride and embark into marital bliss. 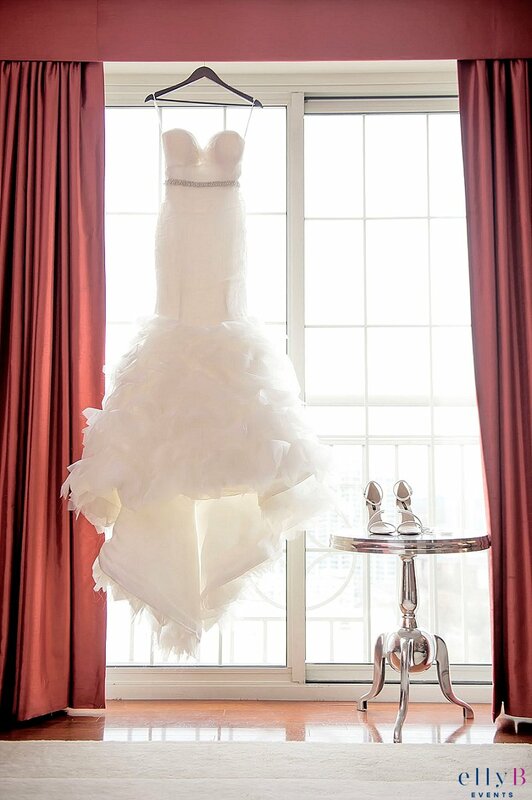 Brunch will be hosted by The Mandarin Oriental Hotel, Atlanta, for the first 25 brides and their guests at 11:00 AM. We want to encourage couples to participate in the event. In addition to the brunch, VIP guest will be given a private tour of the spa and hotel suites. 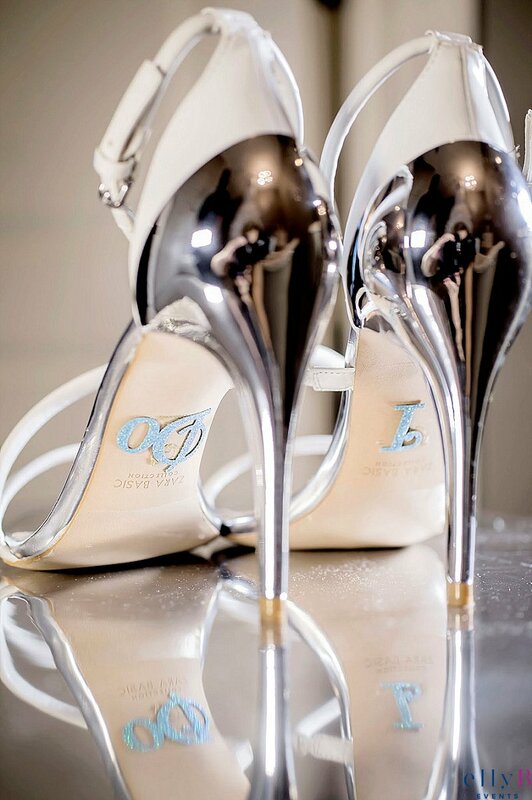 The event is limited to the first 100 brides who register at Oh-Brides.com. Promo code for $10 off general admission tickets is ProposeSM14. The promo code expires Friday at 11:00pm so please get your tickets early! 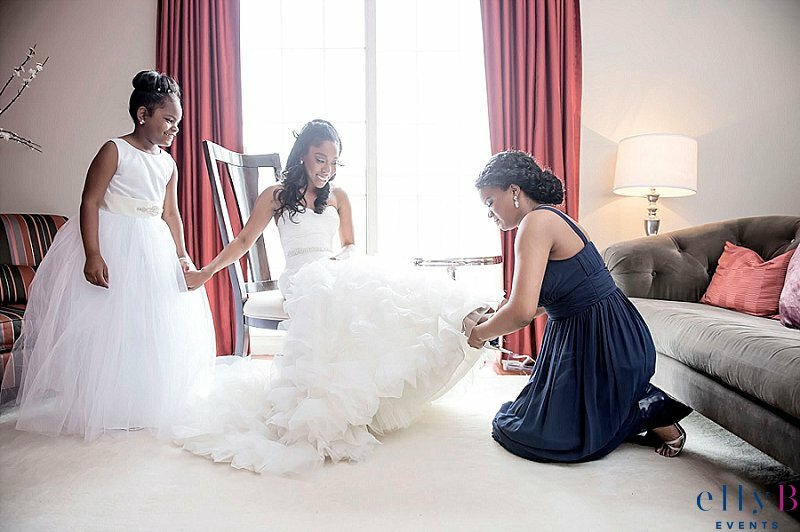 When a couple, bride or parents hires you to plan their wedding you never know what’s going to happen, except that you are going to work your hardest. I know, I always learn something new, whether it be something random, about myself or my craft. New friendships and bonds are formed with great people. 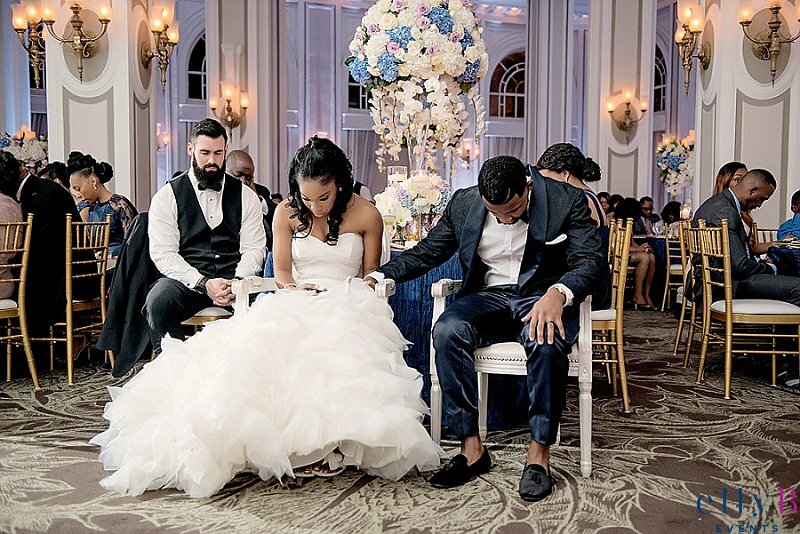 Each couple is special and unique in their own way and Kyle and Raha are just that….special. When I met Raha, her mom and maid of honor, initially at the Atlantan Brides Afternoon of Bridal Luxury event last March I was intrigued. Secretly I was hoping I would be the one. The one to be there when she chooses the perfect wedding dress. The one to guide them with all the little details and planning. 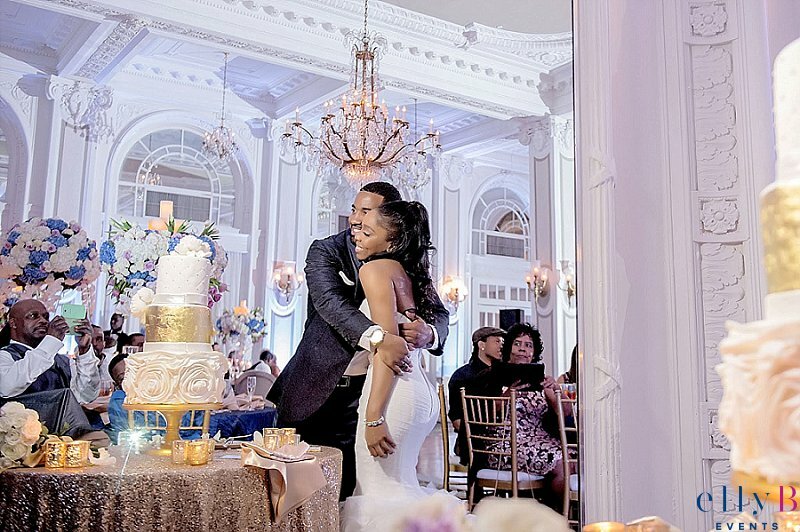 The one to make Raha and Kyle’s fairytale wedding come true. ……and I was honored to be the one. Here is a peak at the magic made….. 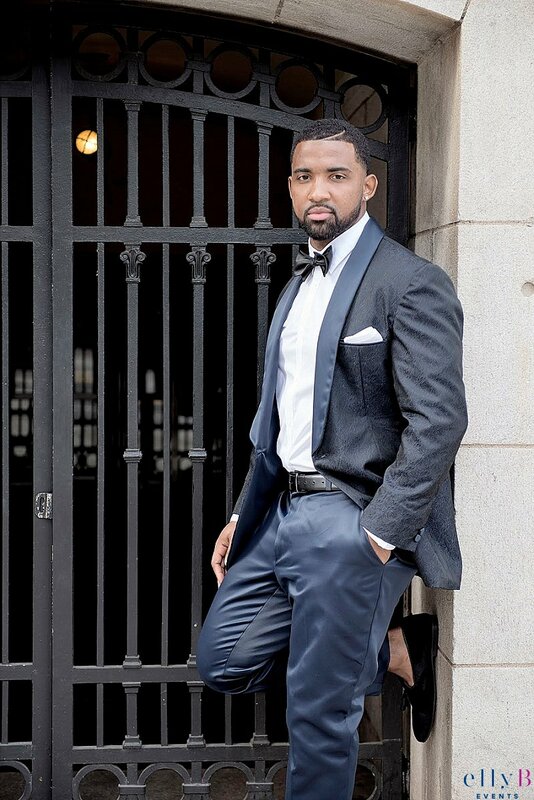 When a magazine approaches you to do an editorial shoot, after you jump up and down for about 30 minutes, you are now plagued on how can you think of ways to go completely against everything you have done before as well as make sure it is completely outside of the box! Since we post so many photos of glamourous ballrooms, we do ALL kinds of weddings. No seriously we do. We do not specialize in any one form of wedding. If you had to ask me what is our speciality I would give you two words, personalization and detials. Point blank! So your style is your style and we are here to bring it to life! Check this fun rustic shoot we created for Occasions Weddings Magazine. Complete with lighted spheres, S’mores with fire pit setup outside complete with colored marshmellows (um hello, of course the marshmellows should be branded in your color scheme as well), farm tables, mismatch vintage chairs, you name it, we brought it!!! 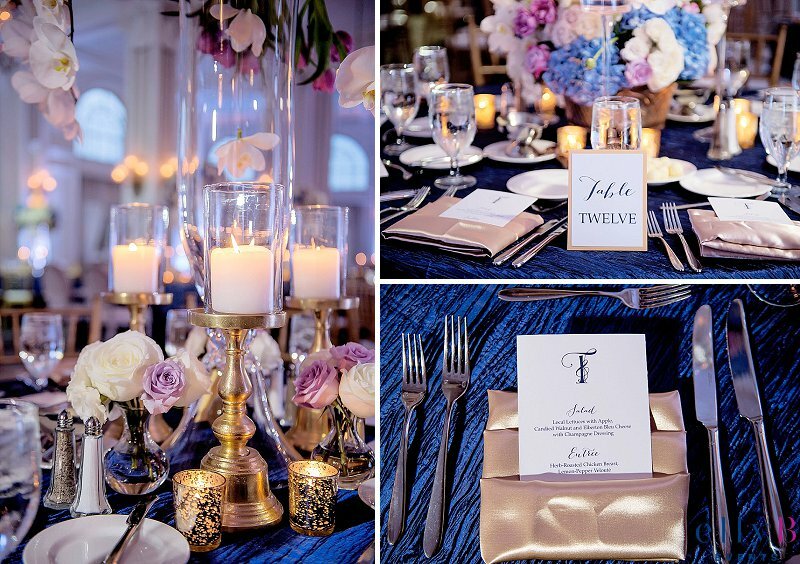 Floral and Decor: Andy Beach & Co.
Andrea and Byron were one of our very first couples for 2014 and let me tell you, these two know how to throw a party! 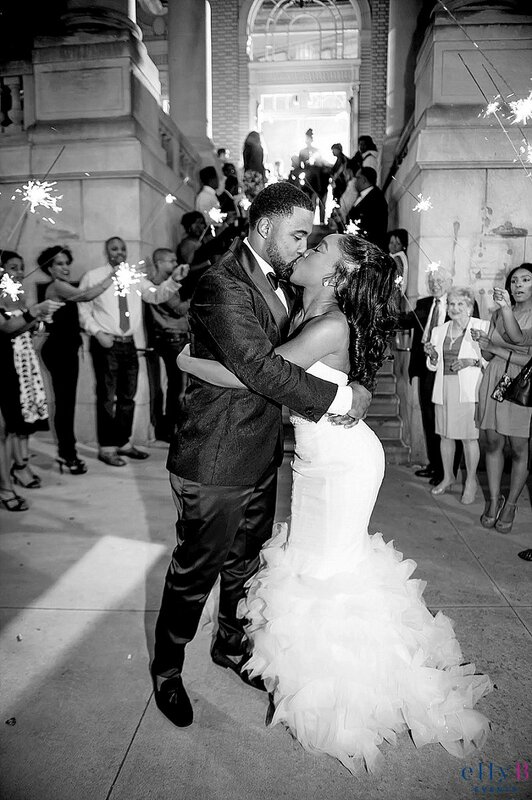 They were a joy to work with so I was so excited to help execute the wedding day of their dreams. We cannot wait to bring you the photos from their big day taken by Sophia Barrett Studios, so for now take a looksie at their engagement session! Brittany and Mitchell’s day was fabulous in every way possible. 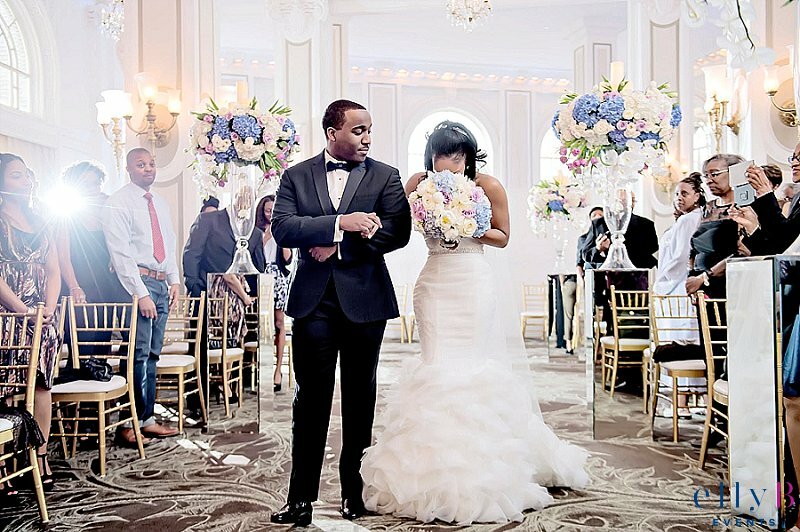 From the décor, to the smile on their parent’s faces, to every intimate moment the bride and groom shared and much more. Love and more love. Please enjoy their video sneak peek by Kevin Hursh Films. Tashieka’s fun loving and vivacious essence complemented David’s charismatic and animated spirit. 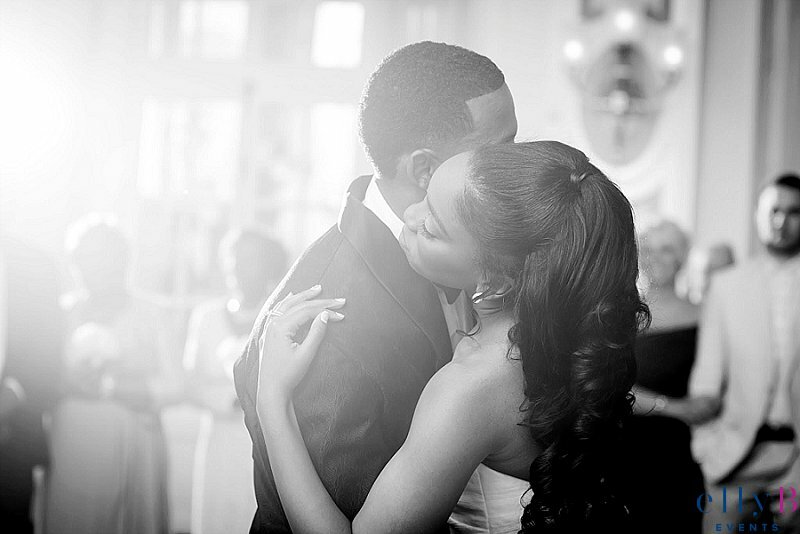 The warmth of this couple not only warmed my heart, but also warmed the hearts of all their guests. It was such fun working on their wedding. 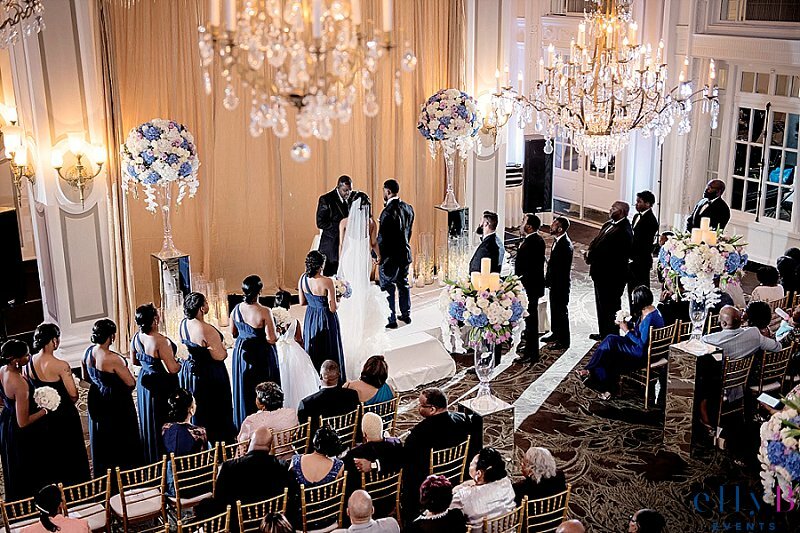 Here is a sneak peek of their enchanted day by Erik Moore Media.